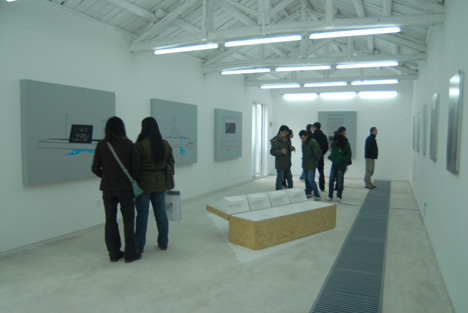 Chinese modern art, we used to find some artists who have exhibited only in Japan or U.S.A, but finally we can see what going on now in China since we often could got the information from 798 Da Shan Zi Art District in Beijing. For 3days in the middle of July, we visited 798 which is the area about 250 galleries gather, and from there 30 minutes away to east, gallery town in RenZhuang Village, SongZhuang,TongXian, and also some atelier of Chinese artists. We probably can divide their surface works into three tendencies. The first one is, based on traditional Nanga style, but still wants to hang up a theme of modern. 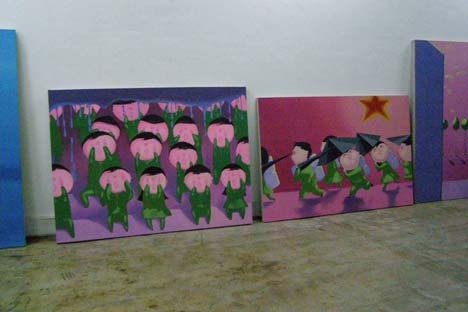 The second one is, expessing Chinese modern history in context of orthodox American and European art history,the third one is, Chinese pop art seems like it has been influenced by Japanese Manga (Otaku)culture. Unfortunately, we couldn’t find any special works which we would like to write review, but we felt potential from the young artists in their twenties who visited there by chance and made works together in communal atelier outside of the village. Many of the galleries they look like a bit dengerous to keep running business, but maybe they can’t help it if we think about current Chinese bubble economy. I hope many artists will find alternative place to exhibit their works, and many opportunities somehow. 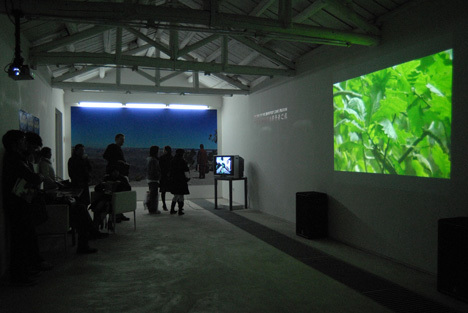 As Dohjidai Gallery, we would like to help young Chinese artists.